A full-scale demo version of the original Bion (12KS) satellite. The Soviet scientists first entered then novel field of space biology by launching dogs on converted ballistic missiles, such as R-1, R-2 and R-5. The very first Soviet long-range missile -- the R-1 -- became a basis for five versions of the so-called "geophysical" rockets. Four latter modifications in this family were equipped with a progressively sophisticated detachable head section ranging in mass from 650 to 760 kilograms and featuring a two-seat cabin for dogs. On November 3, 1957, the USSR stunned the world with a new space sensation -- the launch of Sputnik-2 carrying a dog onboard. The Space Age had barely started less than a month before, with the launch of the first Soviet satellite on October 4, 1957. Now four weeks later, the Soviet press boasted about the 508.3-kilogram (1,120.8-pound) spacecraft carrying the first-ever live passenger -- a dog named Laika. In preparation for the first manned orbital mission, four prototypes of the Vostok spacecraft designated 1K carried pairs of dogs each in 1960. Two of these missions failed killing four dogs. In March 1961, a pair of unmanned versions of the Vostok spacecraft designated 3KA carried a single dog each during final dress rehearsals of Gagarin's upcoming flight. Both returned their passengers safely to Earth, clearing the way for the historic launch. A Russian term "biologichesky sputnik" (biological satellite) apparently came into wide use following the launch of the Kosmos-110 spacecraft on Feb. 22, 1966. It was a modified Vostok capsule designated 3KV No. 5, which orbited the Earth for 22 days with live dogs Ugolek and Veterok onboard, in preparation for a long-duration manned mission. Along with dogs, the satellite carried cells of yeast, blood cells, and live bacteria. The Russian life-science research program in space was to be revived in the second decade of the 21st century with the Bion-M satellite. It was conceived to fly in orbit for as long as six months, giving biologists considerably longer time for exposure of their experiments to weightlessness and space environment comparing to missions onboard its predecessors. The first Bion-M mission was set to last 30 days, and like its predecessors, the project was led by Institute of Medical and Biological Problems of Spaceflight, IMBP, in Moscow with international participation. The official scientific goals of 79 experiments installed inside the Bion-M capsule and on the exterior of the spacecraft included four areas. The 53-kilogram Aist satellite was developed on the initiative of Samara State Aerospace University, SGAU, under a patronage of the nation's major spacecraft developer -- TsSKB Progress -- located in the same city. During its projected three-year mission, the satellite would test sensors for measurement of the geomagnetic field and systems for dumping low-frequency accelerations onboard the spacecraft. As of 2008, the launch of Bion-M was promised in 2010, however the mission later slipped to 2011. By 2012, the flight duration was reduced from 60 to 45 and then to nearly 30 days, with as many as 70 experiments, many carrying small laboratory animals and live organisms. 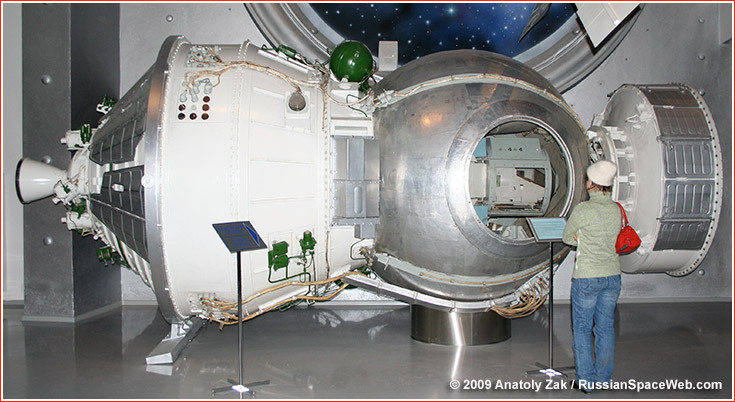 The original main hitchhiker payload -- A TUS astrophysics satellite --- was dropped from the mission and the launch was switched from Soyuz-2-1b to 2-1a version of the rocket. The Soyuz-2-1a rocket carrying the Bion-M No. 1 satellite lifted off on April 19, 2013, at 14:00 Moscow Time (6 a.m. EDT) from Baikonur Cosmodrome's Site 31. The spacecraft was expected to be inserted into a 290 by 575-kilometer elliptical orbit, with an inclination 64.9 degrees toward the Equator. After a nearly month-long orbital flight, Russia's new version of Bion satellite carrying animals and biological experiments was scheduled to land on the morning of May 19, 2013. Even before the successful launch of their mini-zoo onboard the Bion-M satellite Friday, Russian space biologists had already started thinking about a possible next step in life-science experiments in space. Although Bions provided a unique platform for exposing biological organisms to weightlessness and vacuum of space, the spacecraft's orbit kept it well within the Earth's protective magnetic field shielding the planet from solar and galactic radiation.